Today's guest has been a best friend of mine since 1999. She once tricked me into putting on a bad 80s prom dress , stole my clothes and took me to eat at Hard Rock Cafe in downtown Dallas. No, I don't have a photo. These kind of friends don't come often. Sarah has taken the the month of January to be very uncomfortable in a loud Texan in Europe kind of way. Ladies and gents...Sarah Oliver! 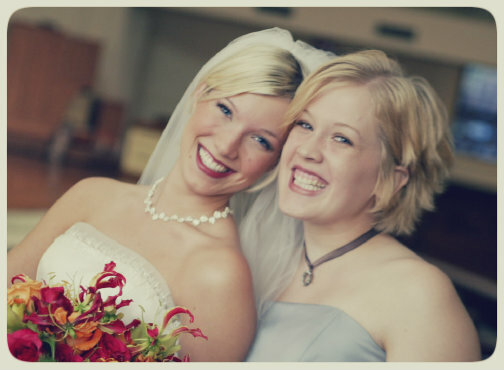 Nearly nine years ago, this Texas girl moved to England to marry her true love. Fairy tale? Of course. Happily ever after? Most of the time. Easy cultural adjustment? Not. So. Much. I live in a land where balanced views, moderation in opinions and control of one's emotions are highly valued. Toes do not like to be stepped on. Being so polite that someone thanks you for delivering an insult is an art form and enthusiasm is something to be suspicious of--or pity--as nice things, like good weather in England, never last long. Don't get me wrong. I love my new home and admire it's culture immensely. But it was not comfortable--at all--being a southern, extroverted, outgoing, bubbly American woman when I first got here. I felt awkward and too much and naive and loud. I swung between phases of trying to tone myself down to blend in and phases of purposefully being culturally insensitive because I was fed up of toning myself down. Then I started to find places where I could be a bit more me and worked out how and when to turn my 'American-ness' up or down depending on my situation. I had adjusted so well, or so I thought. Fast-forward to the present and I think my 20 year old self might have got it wrong. Yes, there is major value in being culturally sensitive and yes, the reality is that I am now a cultural hybrid, but not all of what I toned down was cultural. A lot of it was my personality, my temperament, who I was made to be. I am not quiet by any stretch. I am highly enthusiastic and excitable and I love making big deals out of small events for fun--and lets face it, sometimes for drama! I am feisty and opinionated and err on the side of reactionary rather than considered. This is me, and it is so not English, but I'm kinda sick of not just being me and having fun and laughing at the awkwardness it might somehow create. So bring on the uncomfortable! January is the month that I am choosing not to tone myself down out of fear or insecurity. I am going to be who God created me to be--obviously in a loving and honouring way--and see what happens. It has brought up all sorts of interesting things. Fear of being misunderstood. Fear of being too much. Fear of being rejected for who I really am. All the sudden something clicked in me: cultural differences or not, ex-pat or not, this is, for everyone, what it means to live truly authentic and truly vulnerable. Not wearing a mask, allowing yourself to be seen. Now for the disclaimer: I truly believe that 'being real' does not mean being a jerk and junking on people. I believe in 'keeping my love on' towards people. These things are about love and honour and they are choices we all make to do or not do within our given personalities. However, choosing authenticity and vulnerability, to allow ourselves to be seen and to risk that kind of exposure to either rejection or acceptance is huge. It is highly uncomfortable and takes an insane amount of courage. But, I am also convinced that it is where we experience the most life. The acceptance I have received since not holding back has created a deeper connection within friendships and my marriage even. I have noticed that my kids are responding to my new vulnerability with increased affection as well which surprised me cause I didn't think I was acting any different. Sam has even opened up to me about some deep stuff he has been thinking about. Is it my heart stance? Is my demeanor different? I am not sure but my kids have obviously picked up that my heart is open and unguarded. It's truly incredible and highly interesting! Even the rejections I have experienced have been rich in their own way. More affecting, producing a more raw emotional response, but also strangely revealing an inner robustness that I did not realise I had. A robustness that is not the bravado of a slightly hardened, guarded person saying they don't care what people think and rejecting back, but a genuine, secure acceptance that Sarah Oliver may not be for everyone, and that is OK.